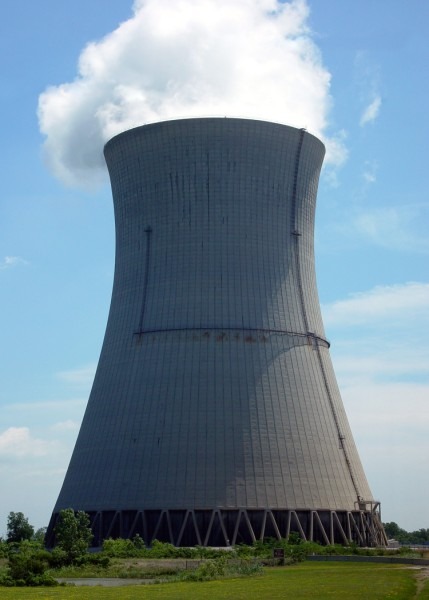 Will TVA finish Watts Bar 2? What types of reactors will TVA build as part of their plan to build two new units? EdF has ordered the EPR for Flamanville-3. It's still great to see so new projects getting underway. Currently, in the A vs A vs G vs W war, A is making a clean sweep. The battlefield is of course still young. A commenter referred me to an anti-nuclear page here. When Helen Caldicott is quoted in the second line, you know they're in trouble. A 50 year old accident at a military facility doesn't exactly have much relevance to today. Hardly the first facility to release some dangerous material and it certainly won't be the last. But given the rather limited effect this has actually had, despite the fear mongering, this is hardly a reason for blanket opposition to nuclear power as a whole, particularly given the advances that have led to Generation III+. In late July 2006 there was an accident at Sweden's Forsmark nuclear power station which was described as a near-meltdown by Lars-Olov Hoglund, a Swedish nuclear expert (see Spiegel Online, 2006-08-07, and report in the International Herald Tribune, 2006-08-04). A more recent example of FUD. Nuclear reactors, nuclear reprocessing plants and the trains that carry nuclear materials around the country are inviting targets for terrorists (see how a Daily Mirror reporter planted a 'bomb' on a train carrying nuclear waste, July 2006). In a similar way, nuclear materials being transported around the world can easily be attacked or hijacked by terrorists. Tabloid journalism at its worst. figures on costs quoted in "Is it all over for nuclear power?". There is a much fuller account in Helen Caldicott's book.). That source uses the junk study from the non economics foundations as its reference, which basically consisted of saying, "Ooh, let's add another couple of pennies for this thing and how about another penny here. Wow, look how expensive it's become!" If junk science was the same as junk food, the authors of this website would be diabetic. Nuclear power may consume more energy than it produces. Caldicott said that, did she? She's even more insane than I realised. I suppose France has discovered the secret to perpetual motion then. No solution has yet been found to the problem of disposing of dangerous nuclear waste, much of which will remain dangerous for more than 10,000 years. No human institution has ever survived that long. Closer than the other website, but still the cigar is way off. Contrary to what many people imagine and often suggest as an advantage of nuclear power, it is not available 24/7 throughout the year. Just like wind power, and all other sources of electricity, nuclear power is intermittent. Nuclear power stations stop producing electricity during routine maintenance and unscheduled breakdowns, and the 'load factor' (the amount of electricity that is actually produced compared with the theoretical maximum) is normally well short of 100%. Capacity factors are now about 90%. Much better than solar or wind. If 90% isn't good enough, then 30% definitely isn't. In its 'normal' operation, the nuclear industry releases radioactivity into the environment that causes damage to health. What dark fear mongering is this? The wide distribution in the world of plutonium and enriched uranium increases the chances that terrorists will be able to get hold of enough to make either a 'dirty' conventional bomb or even an atom bomb. Why bother? There are so many easier ways to cause mass destruction. The technology for nuclear power has much in common with the technology needed for the production of nuclear weapons. Not quite. Swimming pools have much more in common with the weapons the Nazis used to kill their prisoners. I suppose swimming should be banned too? Security of supply: some uranium comes from politically-unstable countries like Kazakhstan and those supplies cannot be guaranteed. Very, very deceptive! Most comes from Australia and Canada. Just think of what the Bloc Quebecois would do to us! In recent heat waves, nuclear power plants have been shut down owing to shortages of cooling water and unacceptable damage that would be caused by the discharge of hot water into the environment (see Our nuclear summer). This kind of problem is likely to become worse as global temperatures rise. Coal power stations have the same problem. The wind turbines weren't turning much either. Here's an idea. How about not building them in a floodplain? Nuclear power is an inflexible source of electricity that is only suitable for 'base load'. It cannot respond quickly to peaks in demand for electricity. That's why we have hydroelectric power or gas or any manner of other power sources that can be cycled rapidly in conjunction with a nuclear baseload. Wind and solar are not predictable and therefore not controllable so they cannot respond at all to peaks in demand, quickly or slowly. Nuclear power only provides electricity. It does not address the problem of reducing CO2 emissions from space heating and road transport (except under the unlikely scenario that nuclear electricity would be used for a significant amount of space heating and charging of electric vehicles). Neither do solar or wind. It has been calculated that, if enough nuclear fission reactors were built to meet most of the world's demand for electricity, exploitable sources of uranium would be exhausted in about fifteen to twenty years (see Energy Beyond Oil by Paul Mobbs, Matador, 2005, ISBN 1-905237-00-6). If the more risky fast breeder reactors could be made to work reliably (not an easy job), this might yield fifty or sixty years of electricity. In a similar way, thorium could in principle be converted into nuclear fuel but this has not yet been shown to be practical and supplies of thorium are in any case limited. I'm impressed they knew about fast reactors and thorium. Still, there figures are way off. And if the supply is so limited, what are they worrying about? It will guarantee than the next generation of nuclear power stations will only be used as a stop gap measure for renewable expansion since there couldn't be another generation after that. As exploitable sources of uranium become exhausted, prices will rise. And as higher-grade ores are exhausted, more energy will be consumed and more CO2 will be released in processing the lower-grade ores that remain. That junk science addiction repeats itself. Opportunity cost: As Friends of the Earth and others have been pointing out, money spent in propping up the nuclear industry is money that would be much more profitably spent on expanding renewable sources of energy. Now the reality. Much more money will be spent on expanding fossil fuel use to fill the energy gap left as renewables can't expand sufficiently rapidly. As Stewart Peterson raised, this clearly shows that NFV are opposed to cooling towers. I say we bring them to Britain, because their campaign against cooling towers will favour the nuclear industry there. In Britain, most nuclear reactors are on coast lines and as such use open cycle cooling. This means they don't have cooling towers. On the other hand, coal power stations are dotted inland across the country and frequently feature a field of these things, for example Didcott or the area formerly known as Drakelow. It would seem more logical for the glorious containment domes to be the image associated with nuclear power, but in fact it is the cooling towers, more accurately to be associated with coal, which have stuck to nuclear. Even the banner of the main website, made by a kind supporter of nuclear party (in the Liberal Democrat party no less), makes focus of cooling towers. In fact, I suspect the power station featured may indeed have been Drakelow coal power station in the Midlands of England. I certainly know I had to paint out a chimney stack before using it. It's probably no surprise myths about nuclear power last if such a fundamental and emperically disproveable perception remain fixed in the public mindset. yet found a permanent solution? The Greenpeace random number generator makes a return appearance. The worst datum that could be used is ten thousand years and even that betrays the reality of the situation because that is the time it takes unreprocessed spent fuel to decay to below the activity of the original uranium ore, itself not the most lethal material found in nature. That is obviously because ignorant organisation such as NFV perpetuate fear of nuclear power forcing city planners to react by creating the assurance of an escape route. Incidentally, other types of facilities often have emergency escape plans. Curiously, the nuclear ones are needed the least. The recent dash of British politicians into the Green abyss was bound to have differing consequences depending on the participent. For the LibDems, they come across as a cuddly protest party. For the Conservatives, it helps them among the soggy chattering classes but hinders them among those who want a government to deal with their more immediate concerns. For Labour, it's the most damaging since they are the ones in government. Michael O'Leary of Ryanair is not impressed. Ironically though, the party whose Green antics are the most damaging are in fact the party currently with the clear commitment to nuclear power.